Elegant 20-40" spikes topped with plumes of small individual flowers in red, pink, white or lavender emerge from deeply lobed fern-like foliage in early to midsummer. 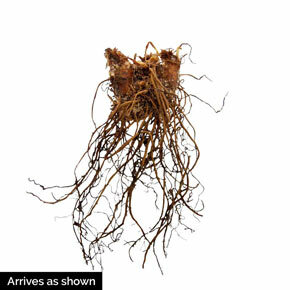 A shade-loving plant, it is perfect for a woodland garden, border or bouquet. Zones 4-9. Bareroot. 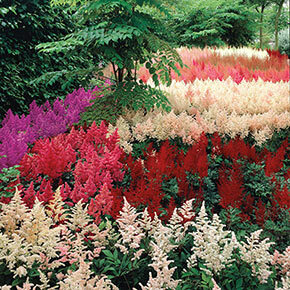 Astilbe hybrids. Partial to Full shade. Flower Form: Delicate, feathery plumes of tiny blooms. Foliage Type: Form mounds of fern-like, medium green foliage. Pruning: After flowering remove spent blooms.